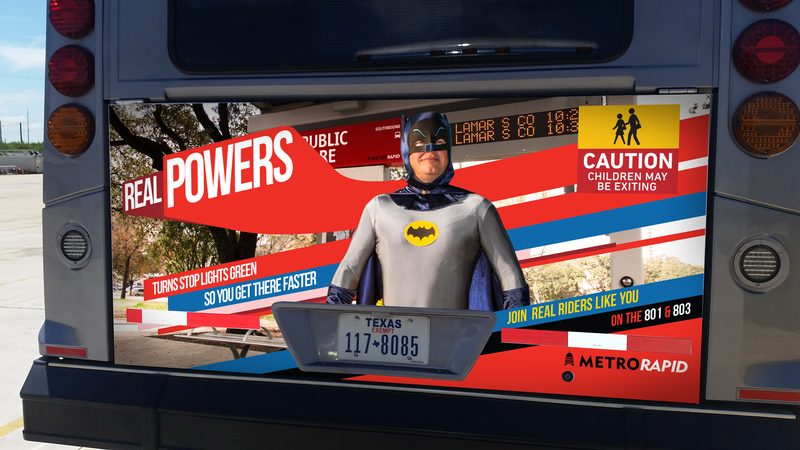 Ridership campaign for the Capital Metropolitan Transit Authority, the public transportation provider for Austin, Texas. Need to help reverse entrenched Austin “car culture” by increasing commuter and event-goer ridership of 801 & 803 MetroRapid bus lines. Cheaper gas prices have led to declining overall CapMetro ridership in the last few years. Transportation alternatives like Uber and Lyft also compete for riders (particularly for events). Potential riders perceive the stigma that buses aren't for "people like them," especially along the socio-economic and demographically diverse North-South routes of the 801 & 803. An extremely limited budget—in an expensive media market—left little dollars for creative production (beyond labor hours). Hold a mirror to Austinites' faces by showcasing real riders of public transit from the Austin Collective photo portrait series originally commissioned by CapMetro, and rebranded for our campaign. 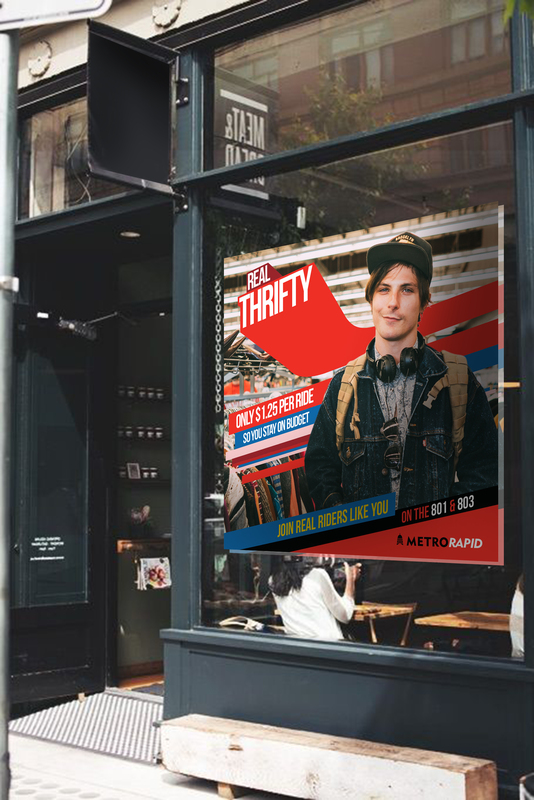 Reframe existing behavior by demonstrating how MetroRapid riders "just like you" currently benefit from bus service enhancements. 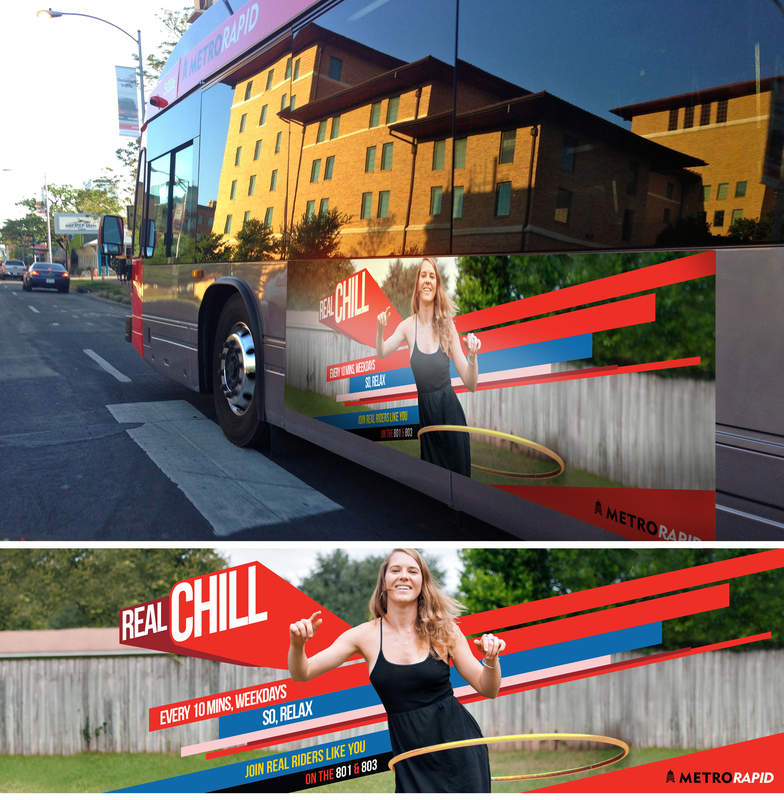 Geo-target a narrow ¼ mile corridor surrounding the routes with bus sides, English and Spanish radio, digital banner ads, event support, UT athletic sponsorship assets and social media ads. 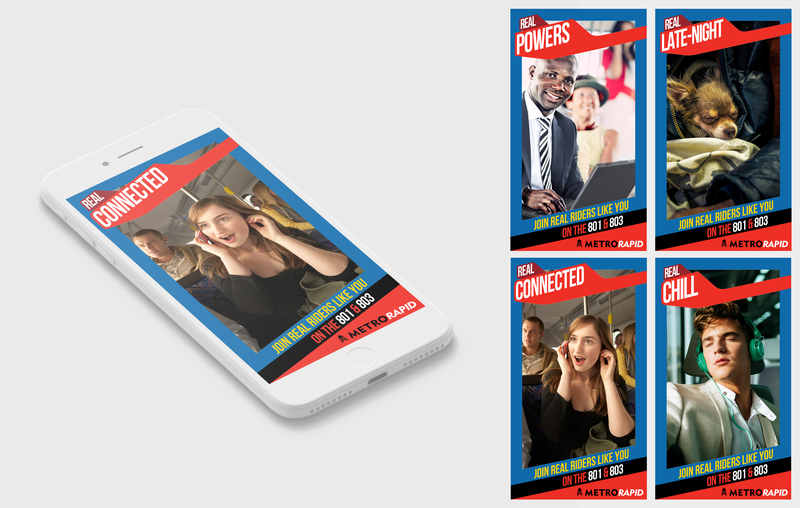 Hyper-target Google AdWords, paid search and Snapchat filters. 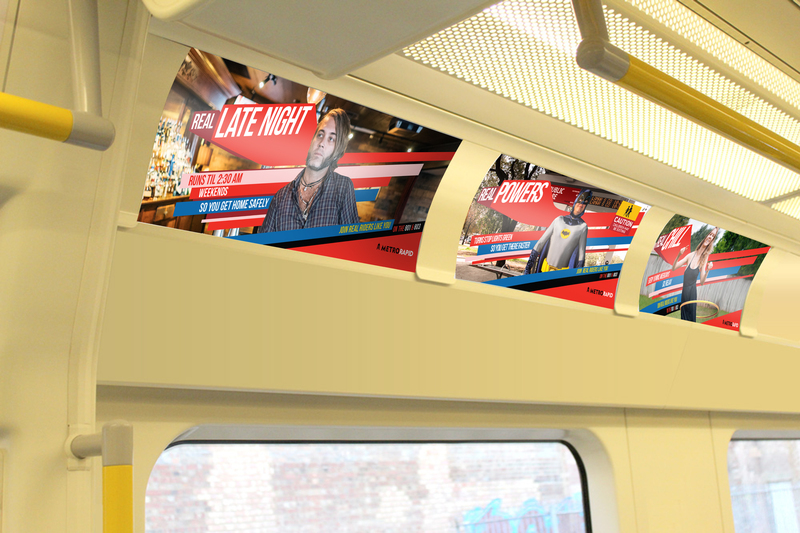 Digital banner ads currently exceed 3-4 times national average click through rates. Preliminary results show a 40% weekday ridership increase since campaign launch. Weekend ridership had an increase of 89%.